Did you grow up with a Sting-Ray? Did you have a rich friend who's parents bought them the ultimate bling edition, the Krate? 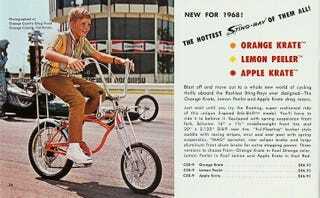 Check out these cool blast from the past kid's bikes over on Hooniverse.